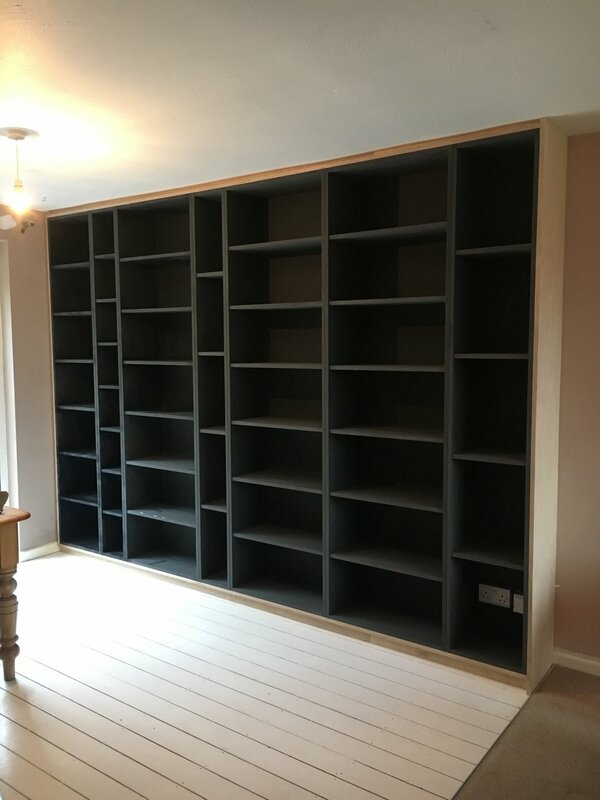 We can design and make any combination of shelves to suit your own needs and provide your home with plenty of storage for books, toys or your home office. From contemporary clean lines, to mid-century style staggered boxes to traditional Victorian, Georgian or Regency style shelving, we can work to a drawing or help with the design. Contemporary shelves are usually bracketless floating shelves with clean lines. For a more traditional approach shelves can be made to sit directly on battens and the perimeter of the alcove made with a matching molding to the cupboard below. Sometimes the alcove unit is build inside a whole carcass which means battens are not needed. For adjustable shelving we can use book case strips. For wider spans of shelving, sometimes a laminated pine board is used to reduce the chances of bowing. 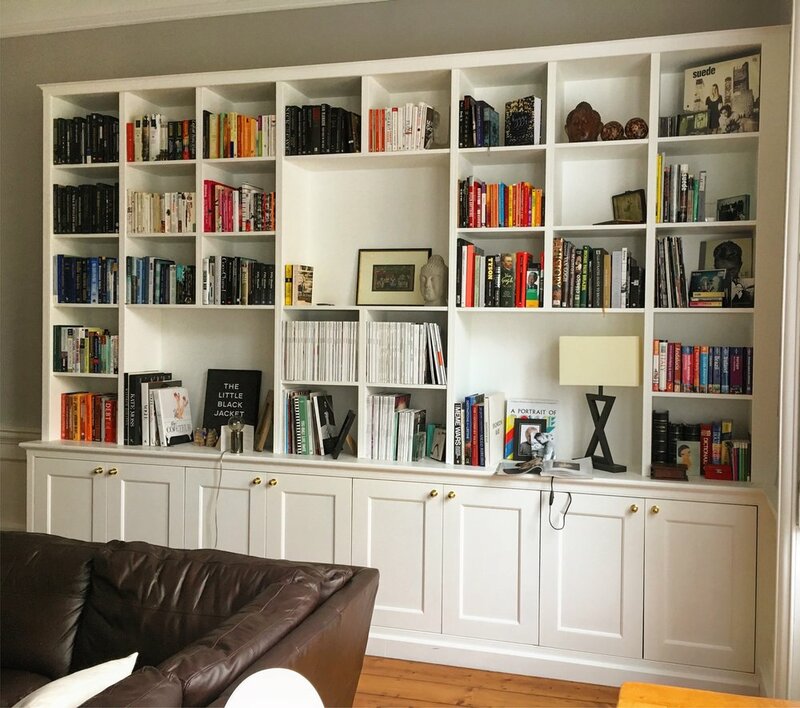 Our shelving is normally made with moisture resistant MDF, and then painted by us or the client, but we can use any timber material or wood, including soft or hard wood, veneered or stained MDF or veneered plywood. Under-shelf, concealed and discreet lighting or power sockets can be incorporated if required. 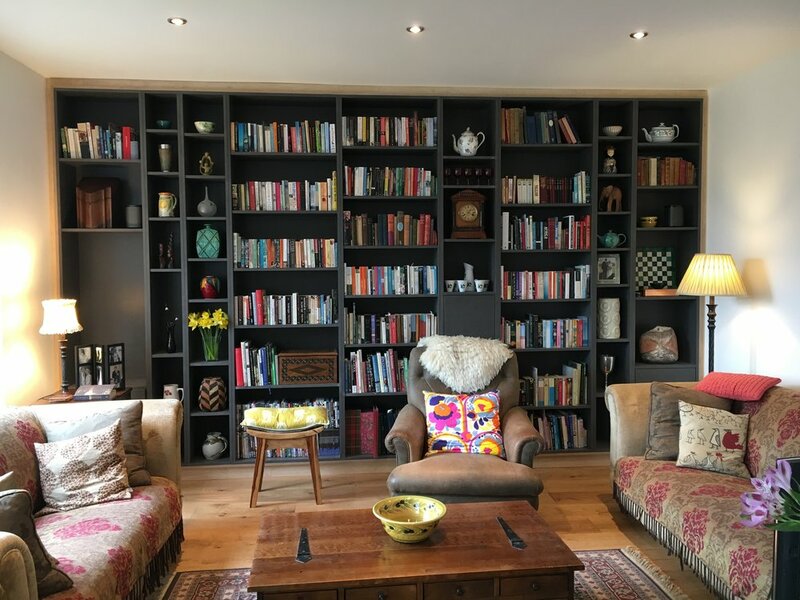 We have many years of experience of building alcove units with exceptional style and quality in situ and transforming homes into organised, tidy and tranquil spaces. We can help with ideas and designs. Please email or call us to discuss your needs.